We imagined that a young and passionate couple wished to get married in a place out of time. An intimate wedding, just the two of them, surrounded by nature and history. 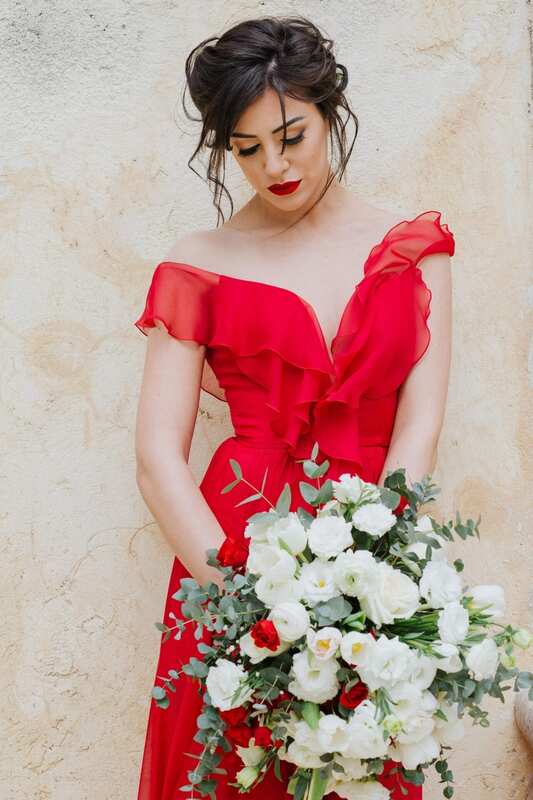 We found the perfect couple in two young Sicilians, a very suggestive location in the Borgo del Carato and in the beautiful, Atelier Emé red dress the distinctive feature of our elopement in the shade of palm trees. Exploring the Syracusan countryside, after the gate, a world of tradition and serenity shows up. 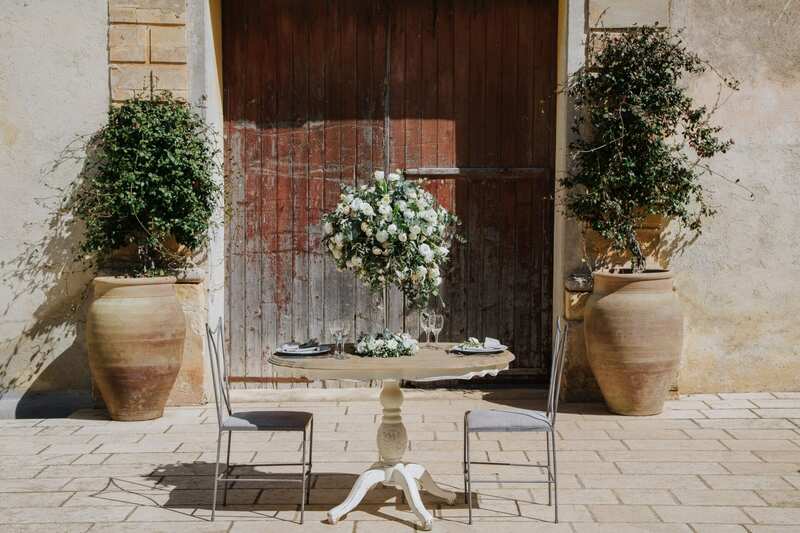 The rustic elegance of the interior, the majestic palm trees, the swimming pool surrounded by olive trees, the cream coloured stone that tells a distant story impressed us. 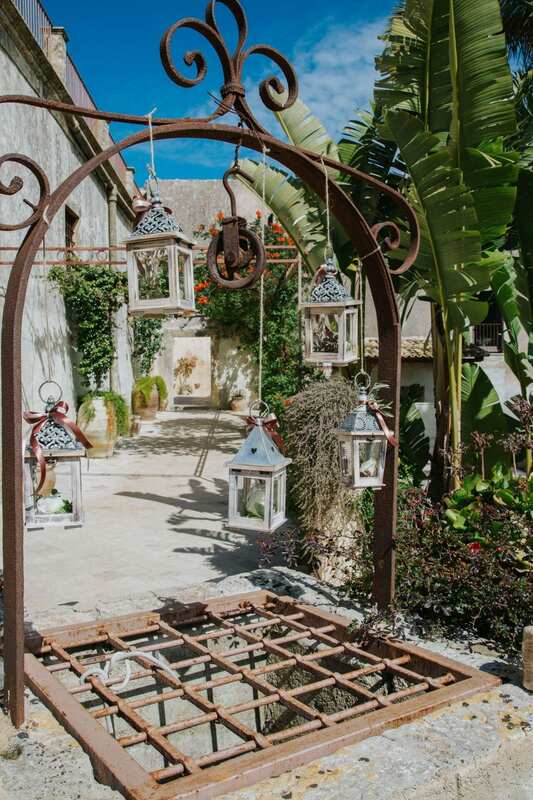 At Borgo del Carato you can breathe an authentic Sicily, simple and luxurious at the same time. A different Sicily from the common imaginary. Our newlyweds exchanged votes during a bright morning at the end of March. 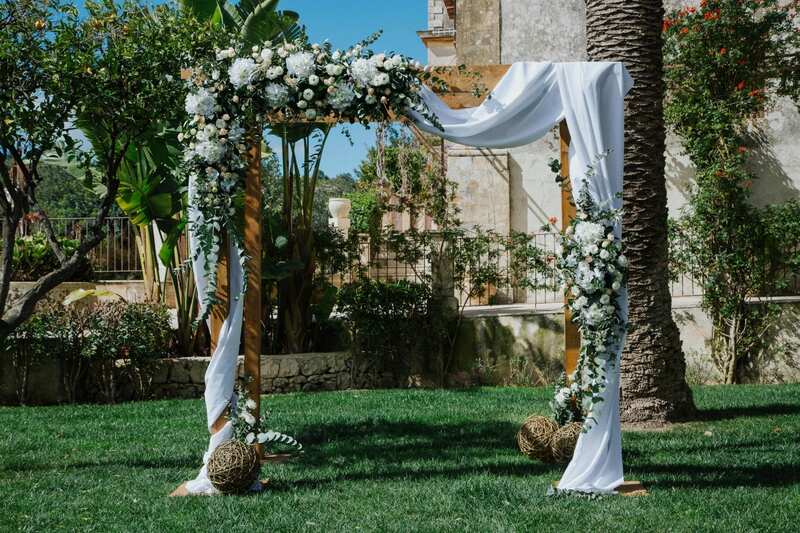 A rich arch composed of drapes, white and ivory orchids, eucalyptus and olive leaves framed the ceremony held in the garden. The dishevelled and romantic bouquet shone in our bride’s hands. 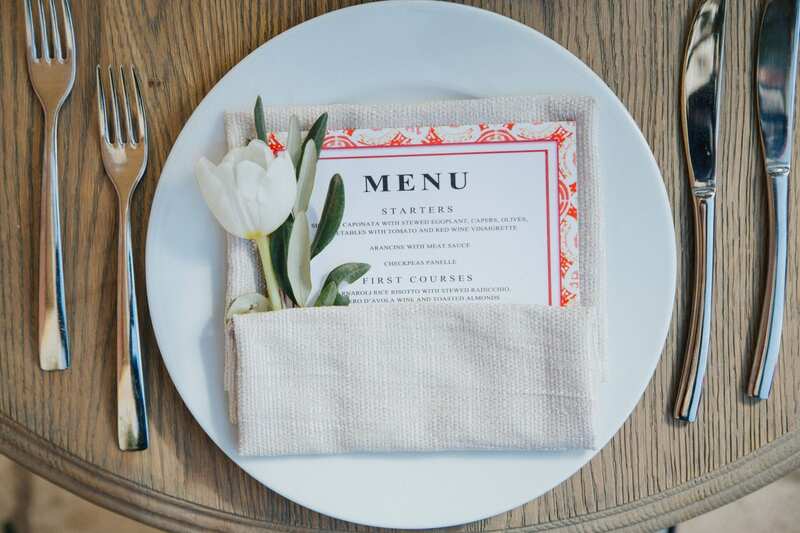 From the settings to the stationery, the cream colours have characterised the palette, lived up by touches of bright red that recalled both the gown and the warm heart of this magical land. 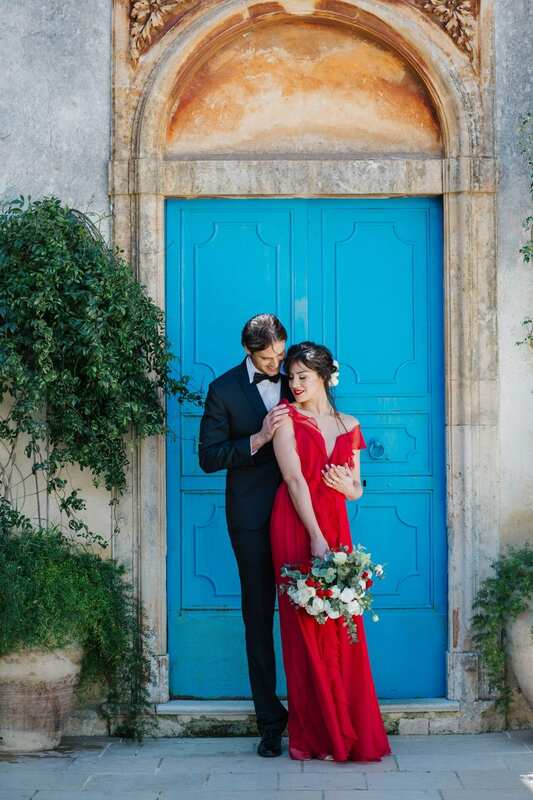 The red dress, so light but astonishing, stood out even more thanks to the contrast with the soft colours of the walls and the bright blue door that enlightened the whole ancient court. An original bride who chose to be immortalised in a "strong" but refined gown. A couple who decided to declare "yes, I do" in an exclusive location, far from the daily noise. The walls of this old farmhouse will tell about this love as part of the history of the Borgo.